Israeli police said Monday that thousands of officers would be deployed in occupied East Jerusalem ahead of the Yom Kippur and Eid al-Adha holidays after three days of clashes rocked the Al-Aqsa Mosque compound, last week. Authorities also said 21 Palestinians were detained overnight in East Jerusalem linked to last week's unrest at Al-Aqsa which saw Israeli police violently clash with Palestinian protesters. According to AFP, those detentions were in addition to 39 others in the West Bank and East Jerusalem, over the weekend. Yom Kippur begins Tuesday night and lasts until Wednesday evening, with thousands of Jews expected to visit the Western Wall below the Al-Aqsa compound in Jerusalem's Old City. The Muslim Eid al-Adha holiday begins Wednesday and continues until Sunday. Beginning on Monday night, traffic will be restricted around the Old City and checkpoints will be set up. Last week's clashes occurred as Jews celebrated their New Year, or Rosh Hashanah. Police said they raided the Al-Aqsa compound to stop Palestinians who had barricaded themselves inside the mosque from disrupting visits by Jews and tourists. Clashes broke out during the raids, with protesters throwing stones, fireworks and other material at police, who shot tear gas canisters, stun grenades, and rubber-coated steel bullets. There were also fierce clashes in the alleyways of Jerusalem's Old City outside the mosque compound. Further unrest occurred on Friday in the occupied West Bank and sporadically in East Jerusalem. In the wake of the clashes, Israeli Prime Minister Benjamin Netanyahu vowed "war" on Palestinian stone-throwers after announcing a toughening of penalties for stone-throwers at an emergency meeting of ministers and security officials overnight Tuesday. In the meeting, Netanyahu also reportedly asked Israel's Attorney General to allow police to employ open-fire regulations used in the West Bank, including sniper fire and the use of 0.22 inch Ruger rifles fitted with sniper scopes. Al-Aqsa is the third-holiest site in Islam, and the site is also venerated by Jews as the Temple Mount and is considered the most sacred in Judaism. Palestinians have been alarmed by an increase in visits by Jews to the site and fear rules governing the compound will be changed. Jews are allowed to visit but not to pray, to avoid provoking tensions. Israeli Prime Minister Benjamin Netanyahu has said repeatedly he is committed to the status quo at the site. Israel seized East Jerusalem, where Al-Aqsa is located, in the 1967 Six-Day War and later annexed it in a move never recognized by the international community. In a further sign of heightened tensions, Israel has also deployed two anti-missile batteries around the cities of Sderot and Netivot near the Gaza Strip, army radio reported. Three rockets were fired into southern Israel in recent days from the Palestinian enclave, without causing any injuries. On Friday, Israel launched retaliatory air strikes on the territory. An Israeli soldier sustained injuries overnight as clashes broke out during a visit to Joseph's Tomb in Nablus, Israel's army said. Around 60 Palestinians hurled rocks, Molotov cocktails, and rolled burning tires at a group of Israelis visiting the site under armed guard, an army spokesperson said. Israeli media reported that up to 2,000 Israelis took part in the visit. Under the 1993 Oslo Accords, the site was to remain under Israeli control. But the Israeli army evacuated the premises in October 2000 shortly after the start of the Second Intifada, and it was immediately damaged and burnt by Palestinians. Following security cooperation with the Palestinian Authority, the Israeli army allows Jewish worshipers to make monthly nocturnal pilgrimages to the site. Joseph's Tomb is revered by Jews, Muslims, Christians and Samaritans. 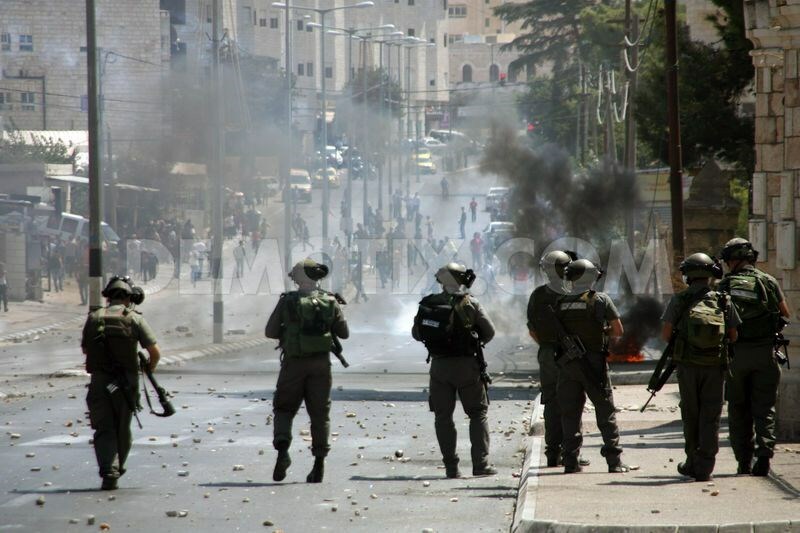 Violent clashes with Israeli Occupation Forces (IOF) broke out at noon Monday in Nablus and al-Khalil West Bank cities in the wake of pro-Aqsa marches. Eyewitnesses told the PIC reporter that dozens of school students took to the streets in a pro-Aqsa march. The IOF soldiers fired tear gas and stun grenades directly at the children who, in turn, threw stones at the soldiers and closed the main road by torched tires to block traffic against Israeli patrols. The union of teachers in Nablus suspended school time at all West Bank schools after 11 am for the participation in pro-Aqsa demonstrations. 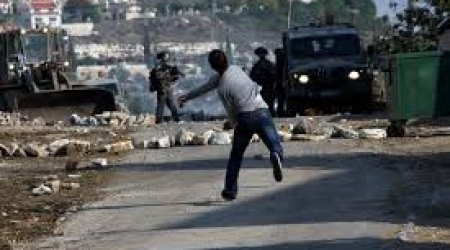 As for al-Khalil, a number of Palestinian youths got injured and suffered suffocation in clashes that erupted in several locations in the city. The activist against settlement Mohammad Awad told the PIC reporter that clashes erupted in Asidah district near Beit Ummar in northern al-Khalil in the wake of quelling a pro-Aqsa march by IOF troops. Israeli forces shot rubber bullets and sound bombs at the march leading to the injury of a 17-year-old boy in his foot. Two others were wounded by rubber bullets while some others suffered suffocation. 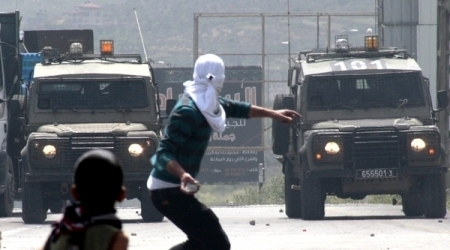 In the same context, similar clashes broke out in the nearby Halhoul town. A number of Palestinians suffered from inhaling tear gas. Israeli soldiers closed an entrance of the town following a pro-Aqsa rally. In the wake of heightened Palestinian violence, justice and welfare ministers wish to repeal clause that protects parents of convicted minors from being held liable. Two cabinet ministers on Thursday proposed a bill to allow for the fining of parents of convicted minors, in an attempt to put a cap on a recent increase in stone-throwing incidents. The amendment to Israel's criminal codex, which was submitted by Justice Minister Ayelet Shaked and Welfare Minister Haim Katz, invokes the parents' responsibility in cases where minors are convicted of throwing stones. According to the amendment, the minors' parents will incur substantial fines in the tens of thousands of shekels, in addition to punishments handed down to the children. According to the law as it stands today, parents cannot be fined or forced to pay compensation to victims, if their children are convicted and punished for their crime. The only time that fines are enacted is when the children are not convicted on the charges brought against them. This was mainly done to allow the children to rehabilitate themselves without carrying a criminal record for the rest of their lives. If the amendment is passed, courts will be able to fine the parents even if their children are convicted. "We have been living in an absurd situation to date," Shaked explained. "This amendment puts an end to the absurdity, and places the responsibility on the parents' shoulders, which forces them to be aware of their children's actions, while allowing courts to seek fines or compensation for the victims." The framework of the amendment includes a clause which prevents courts from seeking fines before they have allowed parents a chance to express their pleas. If the parents prove that the minor acted on his own recognizance – and not due to their neglect or support, while proving that they actively sought to change his ways – then the courts will reevaluate the decision to fine them. "This is a very important step in the struggle to contain the growing phenomenon of rock throwing," Shaked said, "Every year, hundreds of indictments are submitted against rock throwers." 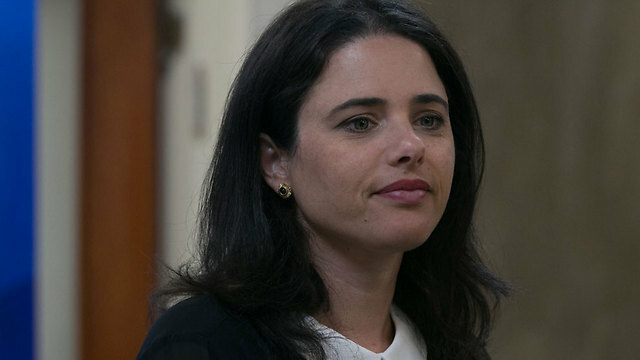 "In recent years, there has been a sharp increase in these crimes, and nearly half of all indictments submitted by the Jerusalem district prosecution are against youths," Shaked concluded. Welfare Minister Katz, who participated in writing the amendment, emphasized that "Throwing stones on a moving vehicle is an act of terror, and the government is committed to protect the safety of its citizens." According to him, "The amendment is one of the ways to contain the phenomenon, while returning the quiet to the streets of Jerusalem." Attorney General Yehuda Weinstein announced two days ago that he would not oppose Prime Minister Benjamin Netanyahu's new initiative, which seeks to place mandatory minimum punishments on convicted stone throwers. The AG additionally approved the use of live fire using typically less lethal Ruger .22 caliber rifles in Jerusalem and the West Bank. In the debate which was held by Netanyahu, the government decided to reevaluate the opening of fire regulations against stone and firebomb throwers. The debate occurred against the backdrop of increasing violence throughout Jerusalem. A bus driver was lightly wounded Thursday night in the city when stones hit his bus near the Hizma checkpoint. He was treated by a paramedic team and taken to Shaare Zedek Medical Center. Another bus was also pelted with rocks in the Palestinian district of Ras al-Amud in East Jerusalem, leading its Arab driver to flee and seek help from a nearby police car. 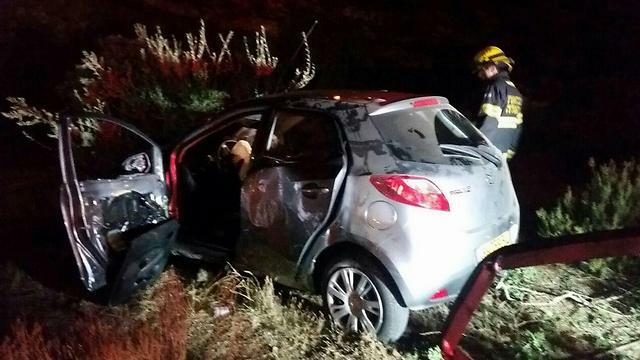 Earlier this week, an Israeli was killed when his car veered off the road after it was hit by stones while driving home from a Rosh Hashana dinner. Police on Friday reinforced their presence in the eastern and western parts of the city, and entrance to the Temple Mount has been restricted to Muslim men over the age of 40 in anticipation of clashes after Friday prayers. Clashes resumed, on Thursday evening, in various villages and towns, and in a number of neighborhoods, in occupied Jerusalem, as part of the ongoing protests to the escalating Israeli attacks and invasions into the Al-Aqsa Mosque. Member of the Follow-up Committee in the al-'Eesawiyya town, in Jerusalem, Mohammad Abu al-Hummus, said dozens of soldiers invaded it, and fired many gas bombs and concussion grenades, leading dozens of residents to suffer the effects of tear gas inhalation. He added that several trees, located in a land inside a military base near the Hebrew University, were burnt during the clashes. Clashes also took place in the ash-Shayyah area, in Ras al-'Amoud neighborhood in Silwan, after local youths bunt an Israeli settlement bus. 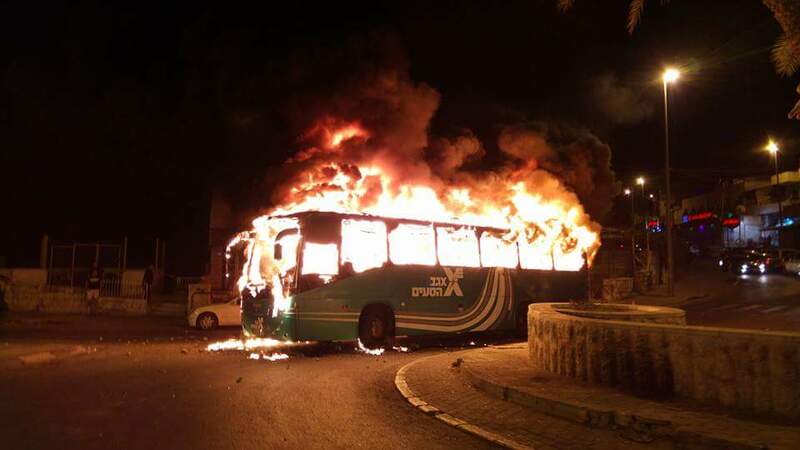 Israeli daily Haaretz has reported several Palestinians hurled stones on the bus, causing the driver to escape leaving the empty vehicle in the street, before the youths burnt it. Haaretz added that, on Thursday at night, an Israeli bus driver was injured after stones were hurled on the vehicle, close to the Hizma roadblock, at Jerusalem’s northern entrance. The soldiers then invaded several neighborhoods in Hizma town, and conducted a search campaign, but withdrew 30 minutes later without conducting any arrests. More clashes took place in the Shayyah area, in Silwan; the soldiers fired dozens of gas bombs, and sprayed homes with wastewater mixed with chemicals. Similar clashes occurred in the at-Tour town, in Jerusalem, leading to no arrests or injuries. Meanwhile, Israel decided to push more soldiers and police officers in East Jerusalem, especially around the Al-Aqsa Mosque, in preparation for Friday prayers. Israel has approved the use of sniper rifles against stone throwers in Jerusalem, Channel 10 reports on Thursday morning. Israeli Prime Minister Benjamin Netanyahu asked the Attorney General to authorize sniper to target the stone throwers as part of his declared “war” on stone throwers in Jerusalem, PNN reported. Also approved was the arrest of minors and children under the age of 10 and 5 who throw stones, in addition to a fine up to 100,000 Shekels, about US $ 26,000. According to Days of Palestine, Netanyahu said that Palestinian children who throw stones at the Israeli occupation forces, deserve long-term imprisonment and their fathers must pay their fines. His remarks came after three consecutive days of Israeli violence against Al-Aqsa Mosque in the occupied city of Jerusalem. Despite international calls to calm down, Israeli forces stormed the site for the fourth day, prevented Palestinian worshipers from entering into it and giving chance for extremist Israeli settlers to desecrate it. Netanyahu made the announcement at the start of an emergency meeting of ministers and security officials that was called after the death of an Israeli driver, who lost control of his car on Sunday. Israeli police have said that they believe he lost control after a stone was thrown at his car, although they have released no evidence and the Jerusalem Magistrate’s Court has issued a gag order on the details of the incident. “It has been decided to toughen the measures in many areas; a modification of the rules of engagement will be examined as well as the establishment of a minimum penalty for those who throw stones,” the Israeli PM said. Israeli prime minister Benjamin Netanyahu will head an urgent session, on Tuesday evening, to discuss punishment for stone-throwing. Israeli radio reported, according to Al Ray Palestinian Media Agency, that the session would be to discuss measures in confronting stone-throwing directed at Israeli vehicles in Jerusalem. It was reported that the announcement comes in the wake of a deadly car crash Israeli police claimed was caused by stone-throwing. Netanyahu is said to be seeking fast-track legislation for setting a minimum sentence for stone and firebomb throwing. He also will discuss providing administrative detention against the doers. Palestinians living under Israeli military occupation routinely throw rocks at heavily armed security forces during clashes, as one of the few means available to protest their subjugation. Youth often throw stones at settler cars driving in the occupied West Bank, while it is also common for settlers themselves -- both armed and protected by armed Israeli forces-- to target Palestinian vehicles with rocks. Settler violence against Palestinians in the occupied West Bank is routine and goes unpunished by Israel, with 324 incidents of violence recorded in 2014, according to the UN Office for the Coordination of Humanitarian Affairs. The driver, a man of about 50, was taken to Shaare Zedek Medical Center by an MDA team while paramedics attempted resuscitation in the ambulance. He succumbed to his wounds on Monday morning. Two others were lightly wounded in the incident. Jerusalem police said the passengers were returning from a Rosh Hashanah holiday dinner when they drove on a route on which Arabs were throwing stones. However, questioning of the other passengers suggested that the driver had convulsed before losing control of the car, and police decided to continue investigating the cause of the accident. Police said there had been numerous reports of stone-throwing in the area before the incident. Sunday saw clashes in Jerusalem ahead of Rosh Hashanah. Palestinians barricaded themselves inside al-Aqsa Mosque on the Temple Mount. Police forces broke into the compound and confiscated some of the equipment brought there by the Palestinians. At least nine people were arrested on Monday mornings as clashes continued. An Israeli settler at dawn Wednesday was lightly injured as her car was shot near Nablus’ southern town of Hawara, hours after Palestinian civilians were aggressively assaulted by Israeli vandals in the area. 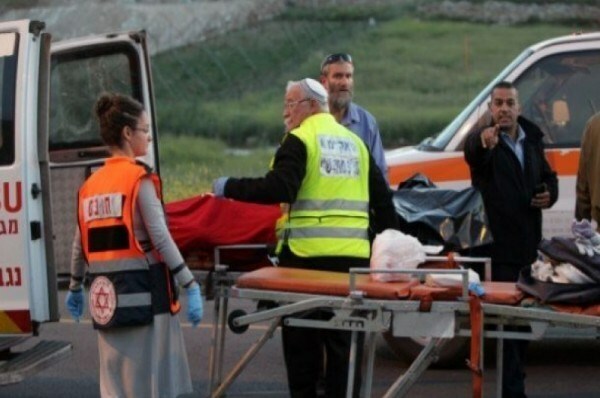 Hebrew sources claimed the settler sustained light injuries after her car was shot by anonymous gunmen. Eyewitnesses said the Israeli occupation army rolled into Nablus shortly afterwards and sealed off the main entrances to the city along with the Hawara and Zaatara military checkpoints. The Israeli occupation troops further closed the entrance to the Yitzhar illegal settlement and stopped Palestinian vehicles and passers-by allegedly in search of the shooters. Palestinians in the West Bank have been subjected to mounting attacks by Israeli vandals and occupation officers. The Israeli occupation forces (IOF) on Thursday afternoon stormed some neighborhoods of Bethlehem city and clashed with young men. The Palestinian Information Center (PIC) was told that Israeli soldiers and officers aboard military vehicles stormed neighborhoods in the city and embarked on stopping citizens and interrogating them. Local sources said that the unwelcome presence of Israeli troops in the city angered some local young men, who showered them with stones and empty bottles. The invading troops, in turn, responded by firing tear gas and stun grenades at the angry young men, with no reported injuries among them. In a separate incident, four Jewish settlers on the same day were injured when a Palestinian young man threw a Molotov cocktail at their moving car in Tareq Ibn Ziyad neighborhood, south of al-Khalil city. Consequently, the Israeli army cordoned off the area of the attack and launched a manhunt for the assailant. Rules of engagement may change after recent attacks in and around Jerusalem; two border police companies and 400 police officers will be added to protect Route 443 and West Bank. Prime Minister Benjamin Netanyahu convened a security meeting Wednesday in his office to discuss the security situation in Jerusalem and on Route 443 (part of which goes through the West Bank), where several terrorist attacks have occurred during the last month. The Prime Minister said that he would not accept a situation in which stones and Molotov cocktails are thrown at a central route to Jerusalem and in the capital itself, and said to participants in the discussion: "The policy is zero tolerance for stone-throwing and zero tolerance for terrorism". At the meeting, attended by the defense minister, public security minister, intelligence and transportation minister, justice minister, the head of Shin Bet and other officials, Netanyahu ordered the reinforcement of forces on Route 443 and in the West Bank and an increase in the number of observation and intelligence resources. It was also decided to add two border police companies and 400 police officers to the area, and to explore the possibility of placing cameras and lighting along Route 443. Moreover, it was decided to consider changing the rules of engagement and establishing minimum sentences for throwers of stones and Molotov cocktails. The Prime Minister said: "Since the legal system is finding it difficult to deal with stone-throwing by minors, changing rules of engagement regarding the throwing of stones and firebombs will be considered, as will be the imposition by law of minimum sentences for those who throw stones and firebombs." In the past month there have been several attacks on Route 443. Two weeks ago, a Palestinian came to the checkpoint on the road, near Beit Horon, asked a soldier for water and stabbed him with a sharp object. The soldier was lightly wounded, and his fellow soldier shot the terrorist in the shoulder. A few days earlier, a 26-year-old Israeli was stabbed by a Palestinian at a gas station nearby and was moderately injured in the shoulder. IDF forces shot and killed the Palestinian. Jerusalem has also recently suffered from a succession of terrorist attacks. Last week at the Damascus Gate, a Palestinian resident of Hebron stabbed a Border Guard officer and lightly wounded him. It turned out that the same terrorist murdered Professor Menachem Stern in 1989 but was was released in 2013 as part of an ultimately unsuccessful round of peace talks between Israel and the Palestinian Authority. 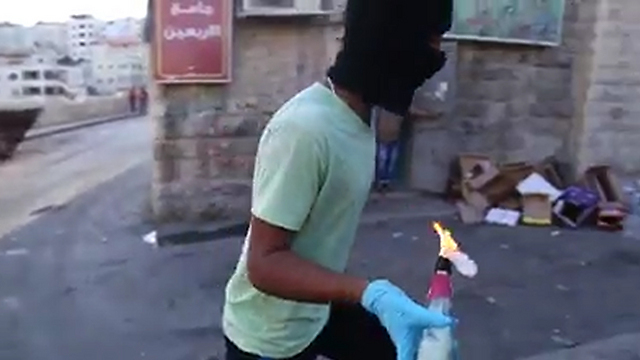 The same day a Molotov cocktail was thrown at a Border Police vehicle in Al-Tur. The soldiers managed to escape the vehicle and one of them was lightly injured.